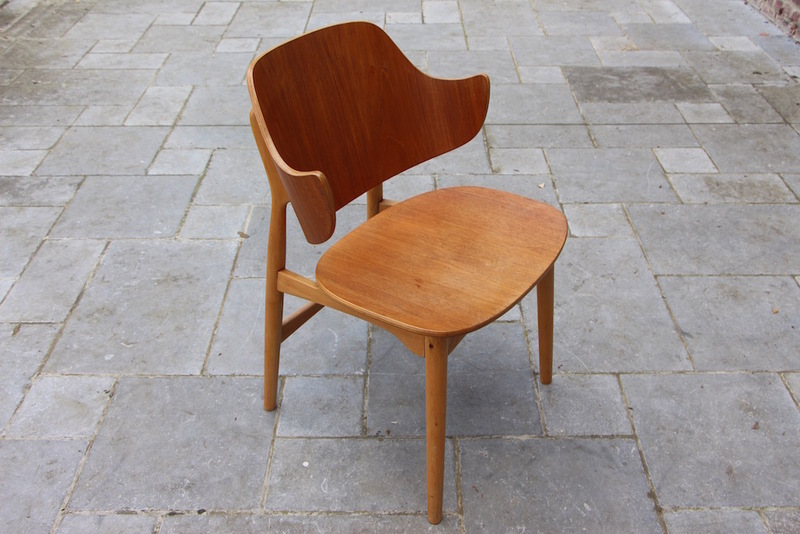 Beautiful shell chair designed in 1950 by Ib Kofod Larsen (Denmark 1921-2003). Ib Kofod Larsen studied at the Royal Academy of Copenhagen. 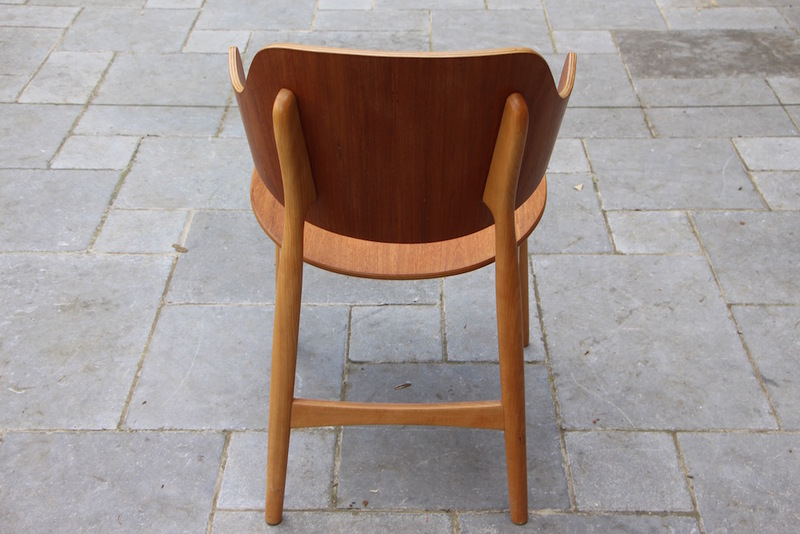 He was known for choosing beautiful materials such as rosewood, teak and leather. 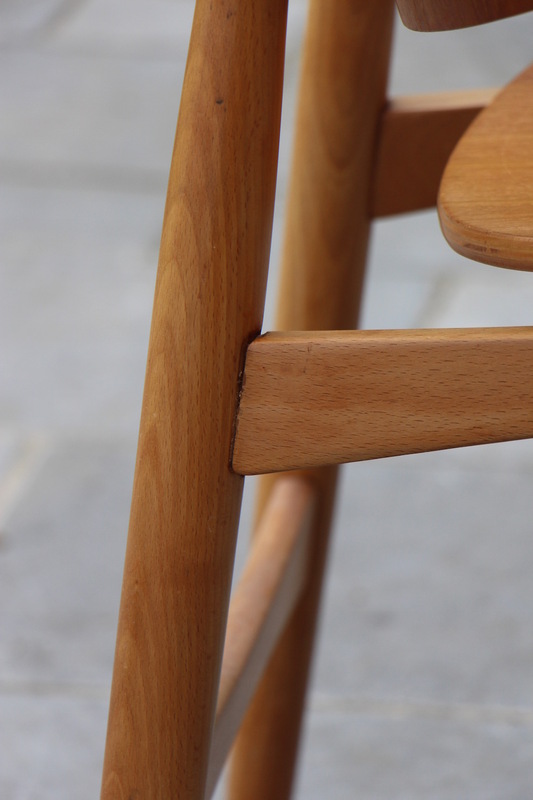 He manufactured lots of furniture for different manufacturers such as High Wycombe, Carlo Gahrn, Petersens, Christensen & Larsen, ... 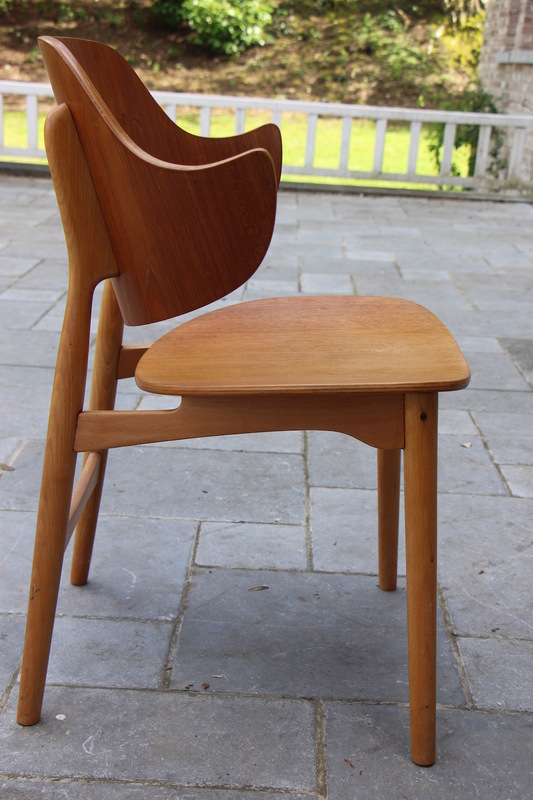 Unfortunately I do not know who manufactured this one but I know it's make of teak. 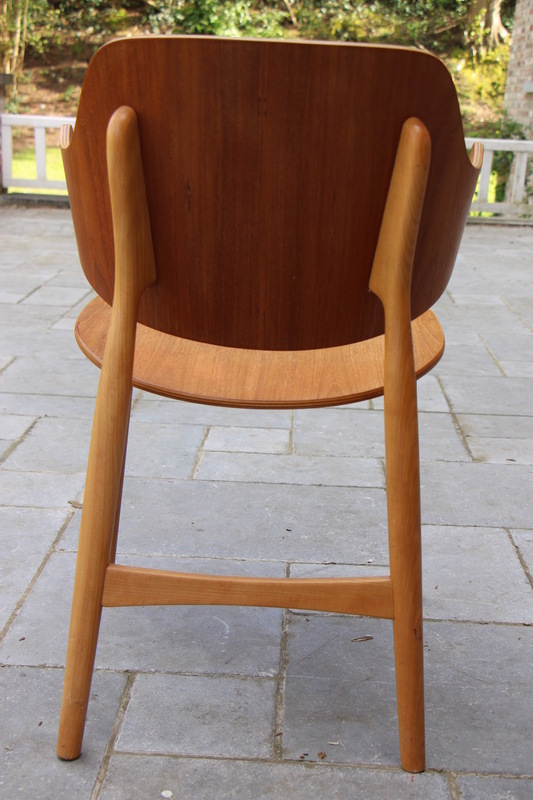 I think it has had a small restoration on one of it's legs (shown on picture). 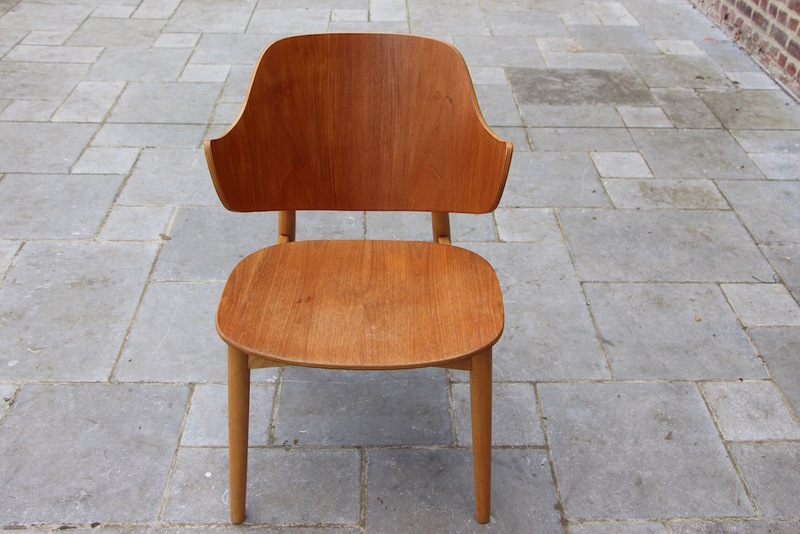 It has a real Danish look and the armrests look like little wings. Its large and has a real presence. I think it's a beautiful piece of design. I would use it as display somewhere where it deserves to be seen and looked at all around. It looks great from whichever side you look at it.